One of the great joys of completing any quality woodworking project is that final moment when you get to put your own unique stamp on the finished piece. 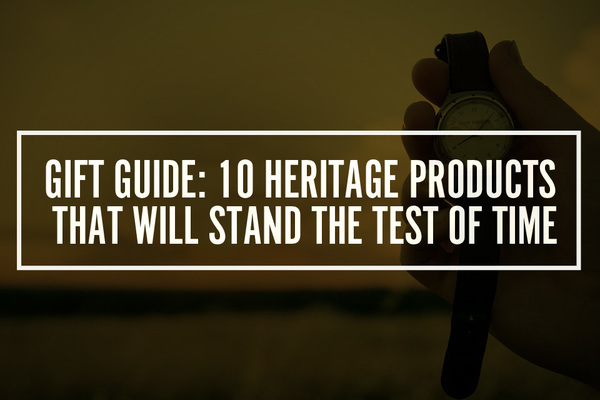 That "stamp" can range anywhere from tiny engraved initials to a bookplate-sized brand, and it's how you show the artist's link between a variety of different projects. 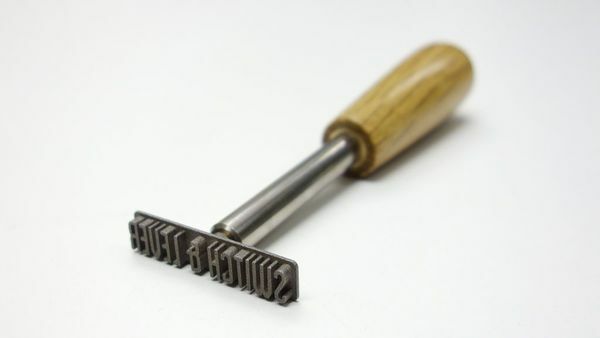 And if you don't have your own branding iron, then here are two great ways to make your own -- one very high quality, and one down and dirty solution (made out of a disposable lighter). 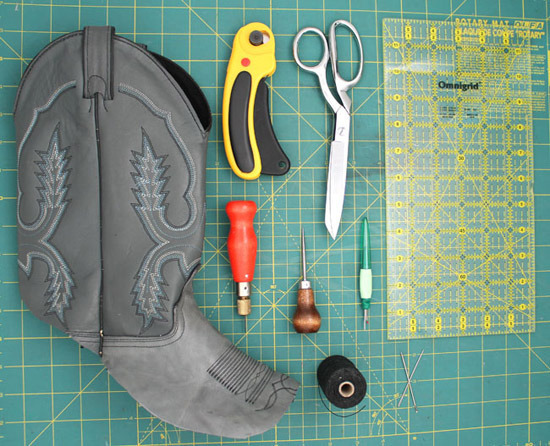 Matt Pierce came up with this tough and rugged design for a DIY archery quiver. Created from long lasting materials like leather, canvas, and cooper, this guy is all kinds of durable and all kinds of stylish. 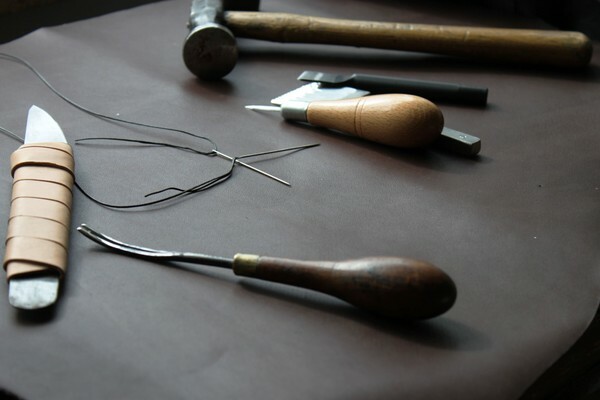 Leather opens up all kinds of creativity, but it can be an intimidating material to for beginners. 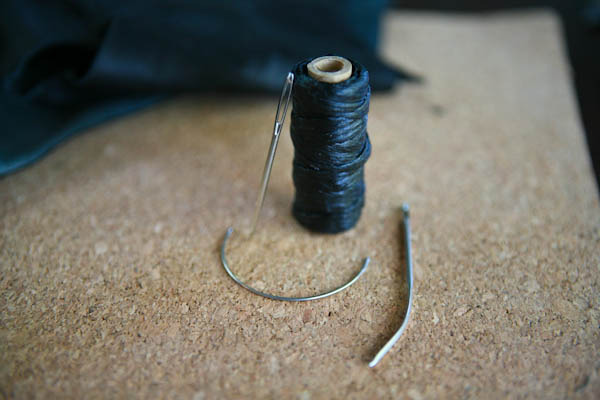 It requires a different sort of tool kit than regular sewing projects, and many guys don't even know how to use a sewing machine in the first place...though ManMade does its best to remedy that. The solution? Don't sew anything! There's no better way to introduce this blog post than to say: I think it's a really, really good idea. The look is classic, and it helps protect your tools edges and handles by encasing them in soft, sturdy material, and it helps protect your hands by keeping the business ends covered. 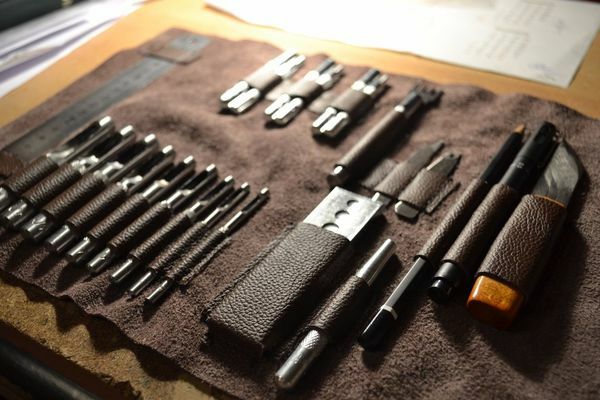 And, since you're making it from scratch, you can create custom slots and pockets to hold exactly what you want, and keep things where they need to be. And did we mention it looks great? Yes? Okay, great. Let's make one. 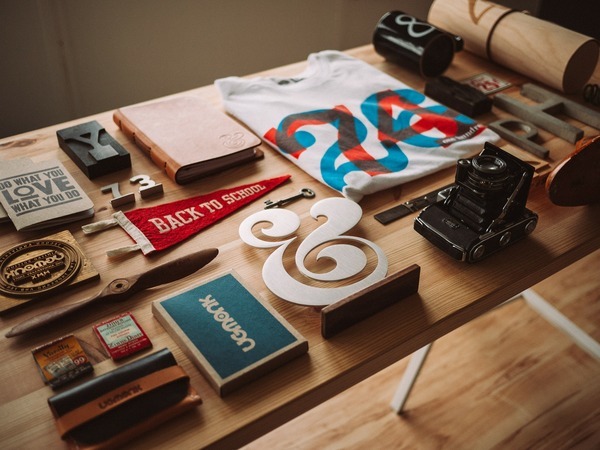 If you're going to tote something around with you every day, you might as well make it look great and reflect who you are. This video blew me away. It's a two minute super-wrap-up showing you everything that goes into making a book from scratch, and then there are longer videos guiding you through each step in the whole process. Now when we say "from scratch" we mean entirely from scratch. If this guy needs a brush to use when binding his pages, he chops off some horse hairs and shapes a twig to tie with sinew from a deer he shot in order to make a brush. It's nuts. Ahh...the pocket earbud tangle nest. You've seen it, you hate it, and you promise yourself not to do it again next. We say, this weekend, do something about it. Bole Tannery has been making their own reindeer (!) 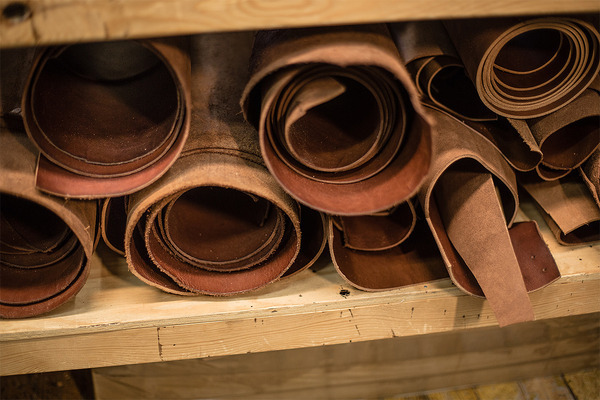 and cattle leather goods from vegetable tanned leather in their Swedish workshop for generations. 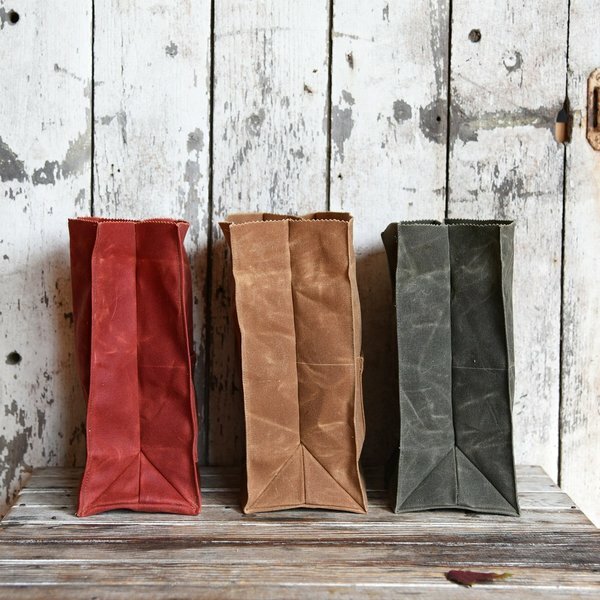 Take a look at what it means to create vegetable tanned leather goods from hide to final rucksack. 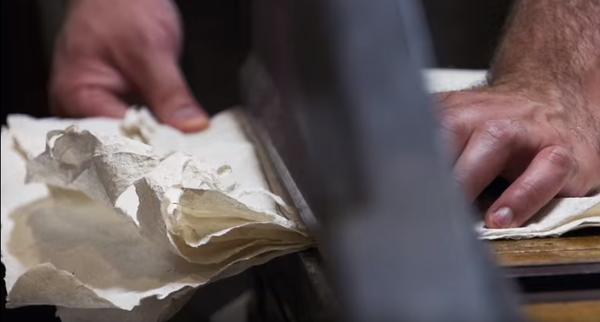 This inspiring video walks us through the making of a smooth leather cover for the Moleskine notebook. 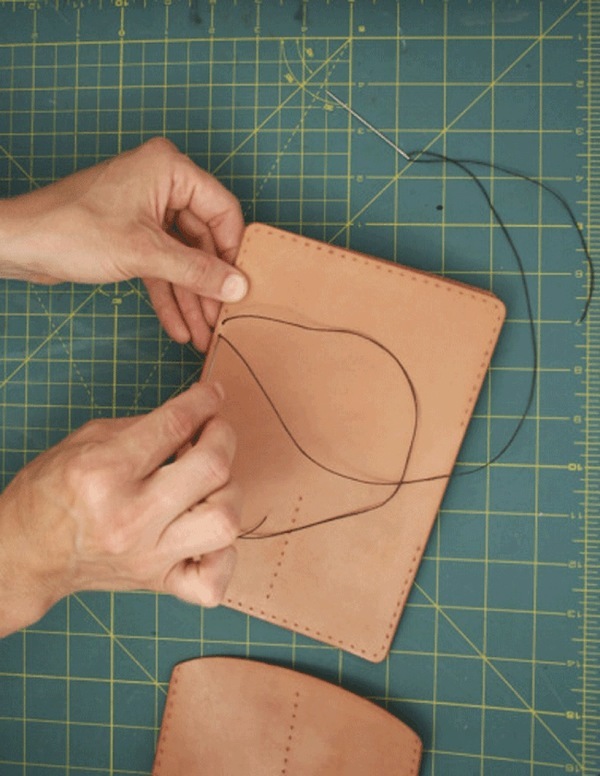 Watch as a simple piece of leather becomes a classy cover for all those world-changing thoughts. Handmade shoes are one of those things. The "once you try it, you'll never look back kinda thing..." And, yeah, they're a bigger initial investment. But they'll probably last for the rest of your life with proper care and maintenance. Saville Row shoemakers Foster and Son were recently featured in The Victoria and Albert Museum‘s, How Was It Made? video series. This entry, The Art of Shoe Making, chronicles a cobbler at Foster and Son creating a pair of brogues from scratch...and its crazy fascinating. I once ran into a dude at the leathercraft supply shop, who was talking to his friend about all his big ideas, and telling his buddy what to get. He threw a wood handled stitching awl into the basket, and stated, "Oh, yeah, man. You definitely need this. It's like a handheld sewing machine." Not quite, overzealous and under-qualified craftsplainer. Check out this quick video showing you the steps to making an amazingly clean and simple looking satchel. I just love the wood accent that also acts as a sturdy frame for your bag.